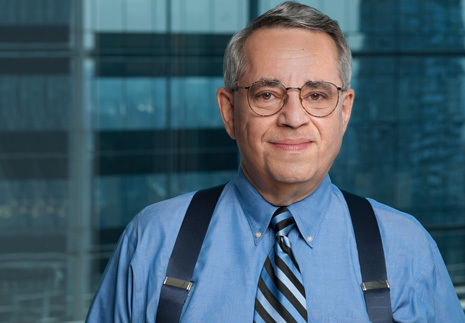 Whether you’re signing with an agent, a publisher, or going the self-publishing route, Bob Stein’s legal expertise will help you decode the facts about contracts, copyright, and liability, as well as if and when you need a lawyer. Bob spent 13 years early in his career thinking he was protecting the largest book publishers from voracious agents and from shiftless and irresponsible writers. Then he changed sides and has since spent 30 years trying to atone for his mistakes, protecting poor benighted writers from arrogant and uncaring conglomerate publishers. New York Public Library, Jefferson Market Branch, 6th Avenue and 10th Street. Meet and greet: 6:00 p.m. 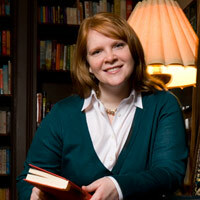 Program: 6:30—7:45 p.m.
Join literary agent, Christina Hogrebe of the Jane Rotrosen Agency. With over 13 years of experience, Christina is driven to help her clients achieve their goals–from bestsellers to debut authors, to those in need of a change. Christina will discuss what’s selling and not selling now, plus the value of having an agent. Wednesday, Sept. 21st, The Jefferson Market Branch of the NYPL. Meet and Greet: 6:00 p.m., Meeting 6:30 to 7:45 p.m. Kick up your heels with us. on Monday, June 6th from 6:00 to 9:00 pm. The chapter will supply the chips and salsa. there are vegetarian options available. There’s a cash bar as well. So put on your party duds and join your sisters. We join her family and many friends in celebrating her life and wonderful contributions to our community as a person, a writer, and a Sister in Crime. Our Chapter’s on Target with 3 Derringer Nominations! The Short Mystery Fiction Society‘s prestigious annual awards are called the Derringers, and we’re thrilled to announce that local Sisters in Crime have earned 3 nominations!!! **The anthology is our own chapter’s short fiction anthology. We’re so delighted for our members, and don’t envy the Society members their tough choices, to be announced by the end of March. Best of Luck to all and Congratulations! Chapter Signing and Party at Partners & Crime (Th-12/15) 7pm! We’re so proud of our chapter’s recently published anthology, Murder New York Style: Fresh Slices. And we’re having a great signing party and brief reading at Partners & Crime Mystery Booksellers on Thursday, December 15th at 7pm. (More info at anthology link or invitation below.) Stop by for festivities and cheer, and as a bonus, you’ll get all your shopping done for the crime fans on your list! December 10, 2011 | Categories: Announcements, Events, Member News | Comments Off on Chapter Signing and Party at Partners & Crime (Th-12/15) 7pm! Member News: Cathi Stoler’s Springing Up Everywhere! 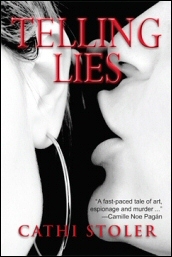 Cathi Stoler‘s debut novel, Telling Lies, is released today! This thriller jet sets from Florence, Italy to NYC, and includes murder, a presumed missing person, and stolen Nazi art. If that weren’t enough good news, her latest short story, “Fatal Flaw,” based on international intrigue among the casinos and canals of Venice, can now be read online at Beat to a Pulp magazine. Congratulations, Cathi, on what looks to be a blooming great spring! April 11, 2011 | Categories: Member News | Comments Off on Member News: Cathi Stoler’s Springing Up Everywhere!